Whoa crazy! 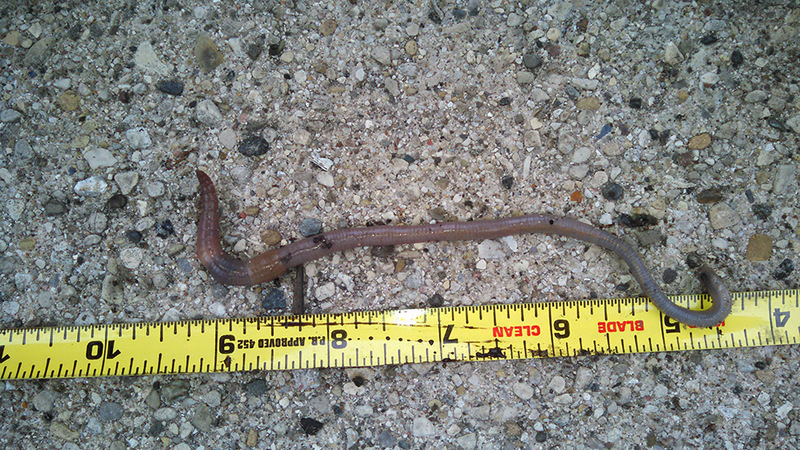 These neighbors clocked in an earthworm today at 9″ inches. It sounds like they are in it to win it folks. 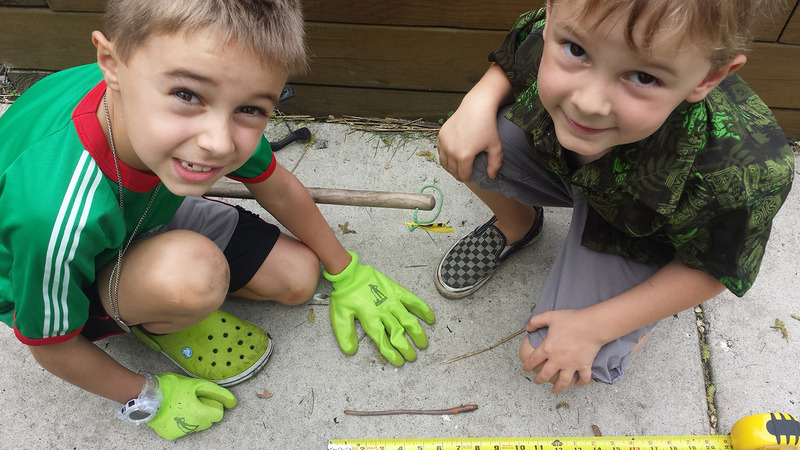 We recently noticed some very large earthworms in our garden, and it got us thinking about a fun neighborhood activity and a way to encourage kids to help with the gardening. If you or a family member find a large worm, photograph it next to a tape measure or ruler (or at the very least a quarter or dollar bill, to determine relative size) and send it to us at EGD. Whoever sends us a photo of the largest worm will receive a $10 gift certificate to local favorite, Lickity Split and a bag of gummy worms. Please include with your worm photo the first name or initials you want published, and age of the child, if applicable. Additional photos of people holding worms is a bonus! Happy gardening! Worms are difficult to photograph, they squiggle and change sizes, so we will use our best judgment to determine the actual largest worm. We know when they are fatter they will stretch out longer. Previous PostEdgewater Glen Yard & Garage Sale Sign Up FormNext PostAround the Hood: Wanna Help Paint a Mural?